Mise en Scene by Ruffian for Anthropologie. "Atelier Chesterfield" large goldenrod yellow leather sofa with hand pleated arms and nail head trim. 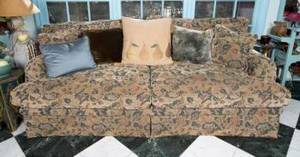 Sofa with tufted back on a hardwood frame with cotton padding fill. Style #960057. Height 34 ", width 88", depth 39". Seat to floor 20". Craig Edward Gordon ed. 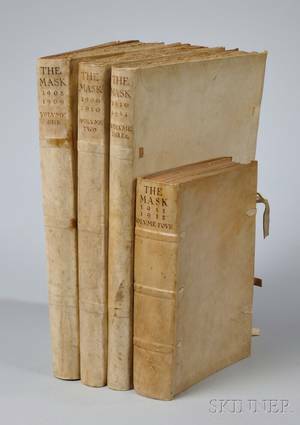 (1872-1966) The Mask: a Monthly Journal of the Art of the Theatre ; and an Etching.